No summer is complete without spending some time out on the open water. There is something about the ocean breeze, the sun sparkling and the sound of the crashing waves that makes you feel alive. One of our personal favorites is to spend a day out on Casco Bay here in Maine. The views are absolutely breathtaking with the rocky coastline littered, weathered homes with bright Adirondack chairs, the hustle and bustle of the fisherman manning their lobster traps and the sense of calm that takes over when your sails are filled and you are cutting through the sea. Days like these call for an extra layer, or a cozy Brahms Mount throw to hang over your shoulders while steering through the brightly colored buoys, napping in the sun or enjoying the sunset and ocean breeze. It truly is the way life should be. 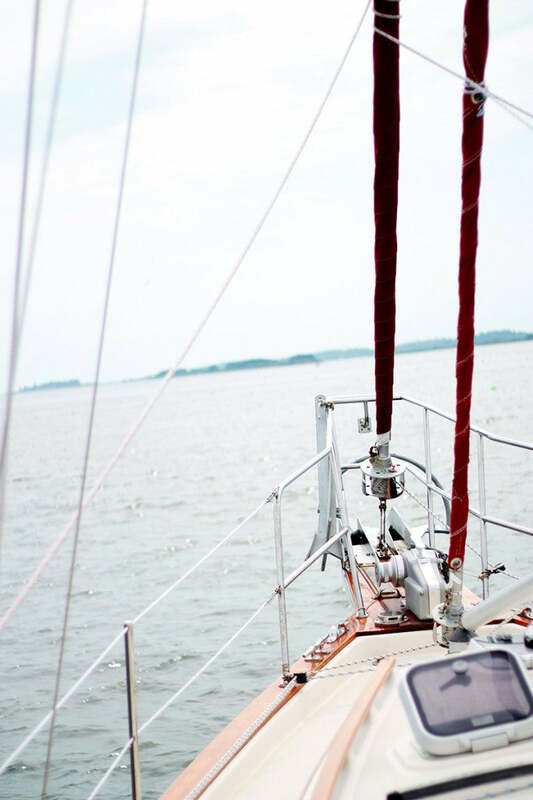 A big thank you to Ian & Claire, from Sail Casco in Harpswell, Maine for having us on board the beautiful Saorsa.